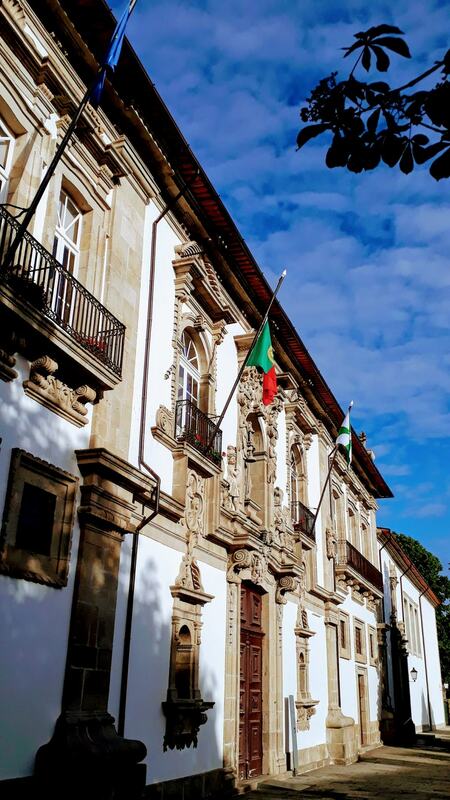 About 15 kilometers southeast of Braga is the city of Guimarães: UNESCO World Cultural Heritage, European Capital of Culture 2012 and also the birthplace of Portugal. 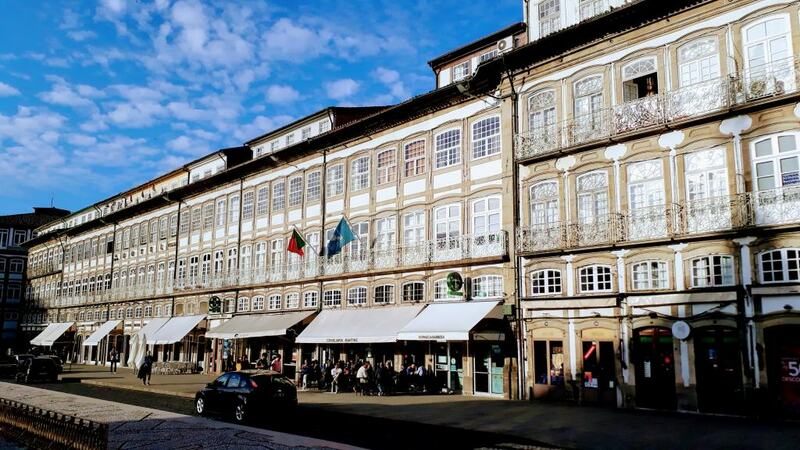 It is widely believed that the first king of Portugal (Afonso Henriques or Alfonso I) was born here, which is why Guimarães was the first capital of the country and is considered the “cradle of the nation”. 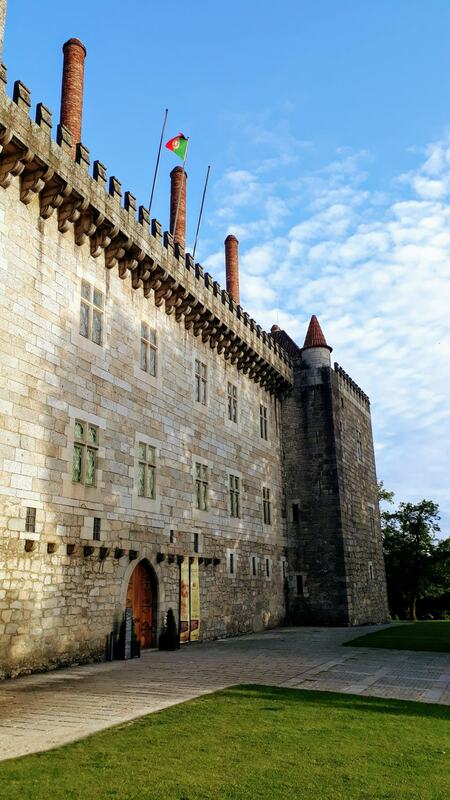 We first drove to the Castelo de Guimarães, where we could park for free. The old Romanesque castle was built in the mid-10th century by order of the Galician Countess Mumadona to protect the city and the monastery from the attacks of the Normans and the Arabs. In 1109 the son of Henry of Burgundy, later King Alfonso I, was probably born here. The castle complex is one of the best preserved Roman fortresses in Portugal. Tip: On the first Sunday of every month, admission is free! Not far away is the Paço dos Duques de Bragança. 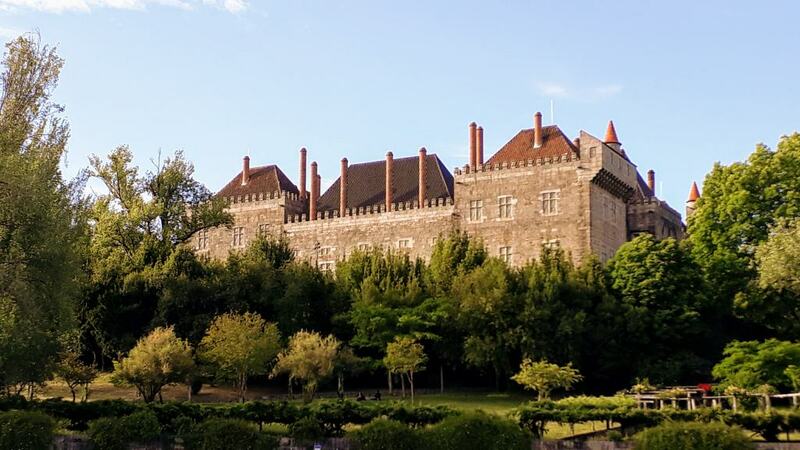 The palace was built around 1420 according to the French model in Norman-Burgundian style and is one of the most magnificent aristocratic residences of the 15th century. On the occasion of the millennium, Salazar had repurpose the building in 1960 to the official state house. 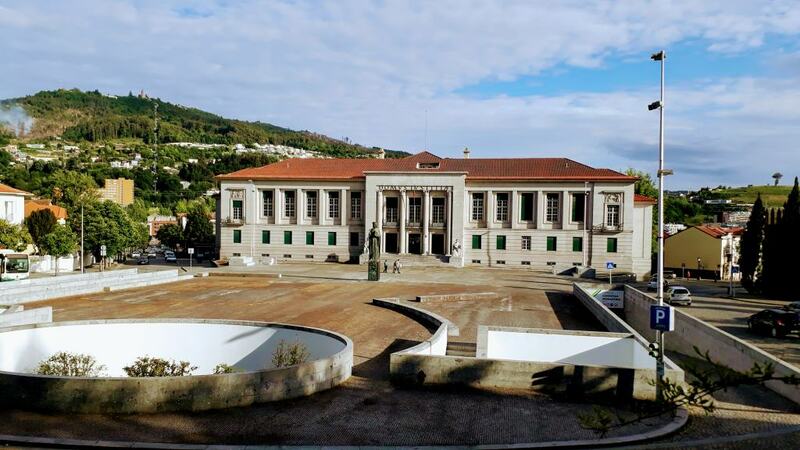 And then we came to the UNESCO-protected old town via the municipal court building Tribunal Judicial and the city hall. 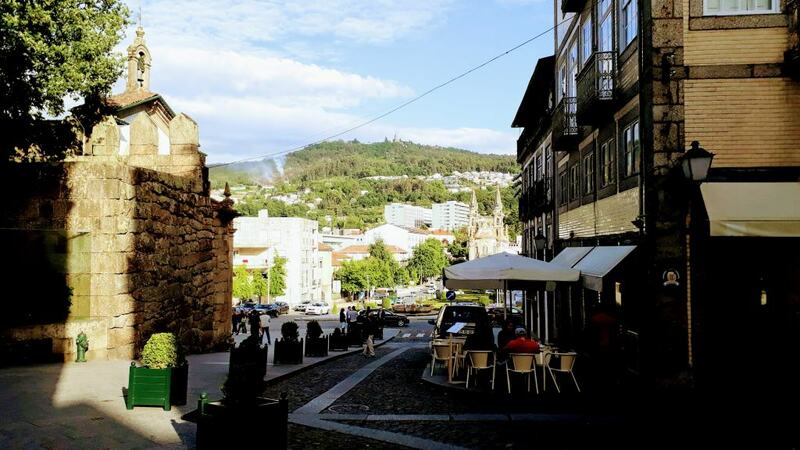 The historic center consists of a variety of alleys and squares with shops, cafes and restaurants. 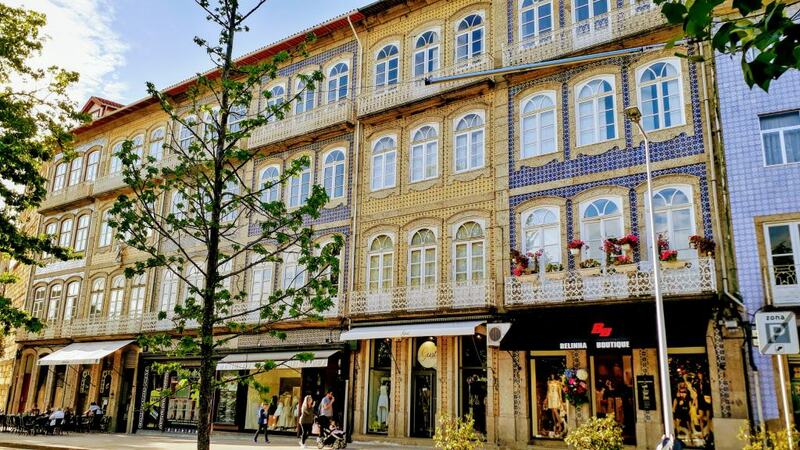 The probably most beautiful and oldest street of the city, the Rua de Santa Maria, leads from the new city hall to the most famous square, Largo da Oliveira. 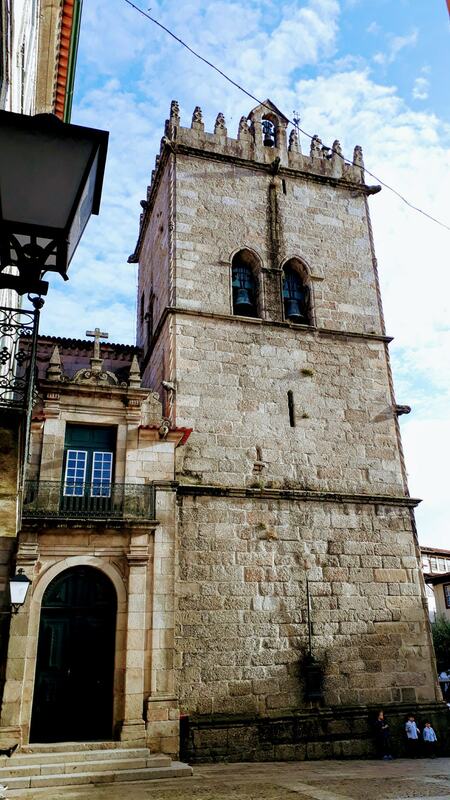 Here the Countess Mumadona Dias had the convent built around 960, which was extended to the Igreja de Nossa Senhora da Oliveira from 1387 to 1393. 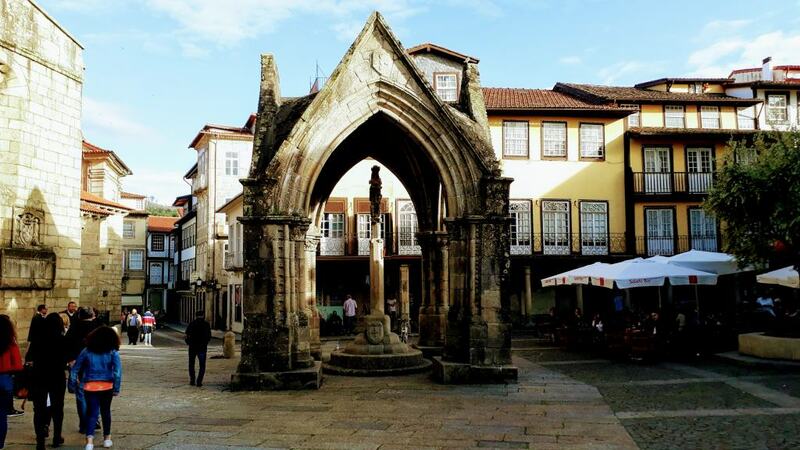 In front of it is the Padrão do Salado, a square Manueline-Gothic colonnade, since 1342. Also the former city hall from the 14th century, which was renewed at the end of the 17th century, can be seen here. 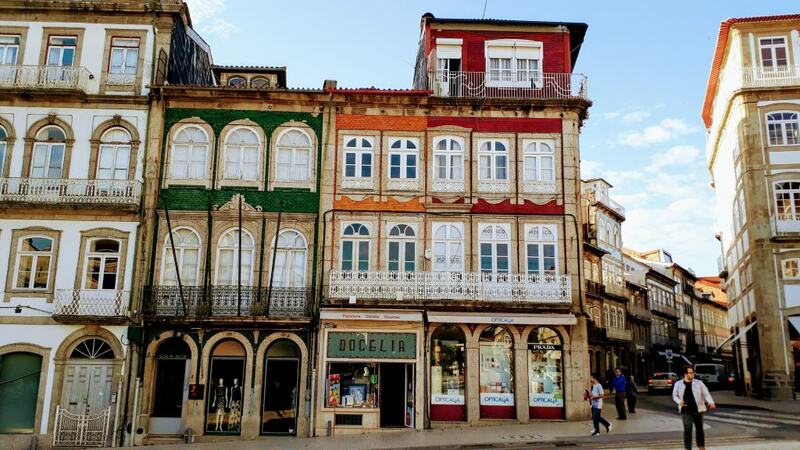 With the beautiful, traditionally painted houses and the many cafes with seats in the shade of the olive tree after which the place is named, the Largo da Oliveira has a very special atmosphere. 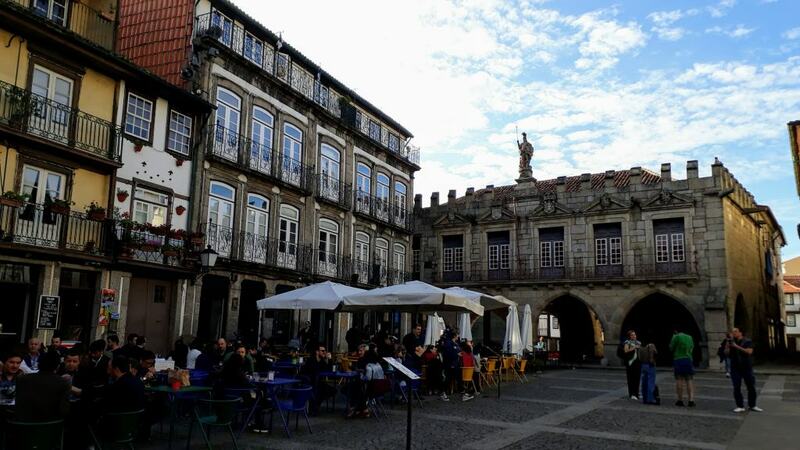 Southeast of the old town can be found the Largo da República do Brasil, one of the most beautiful squares in the city. 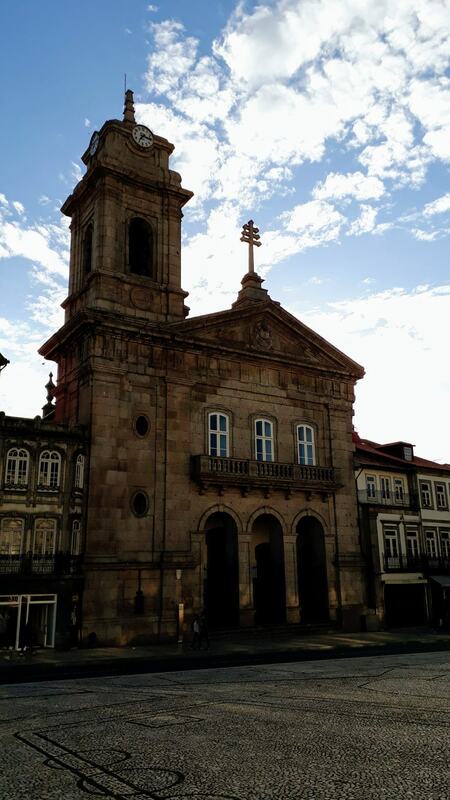 The Baroque church Igreja de Nossa Senhora da Consolação e Santos Passos, which is situated at the end of the gardens of the square, dates back to 1769. In the background, the Serra da Penha or Monte de Santa Catarina mountain can be seen. 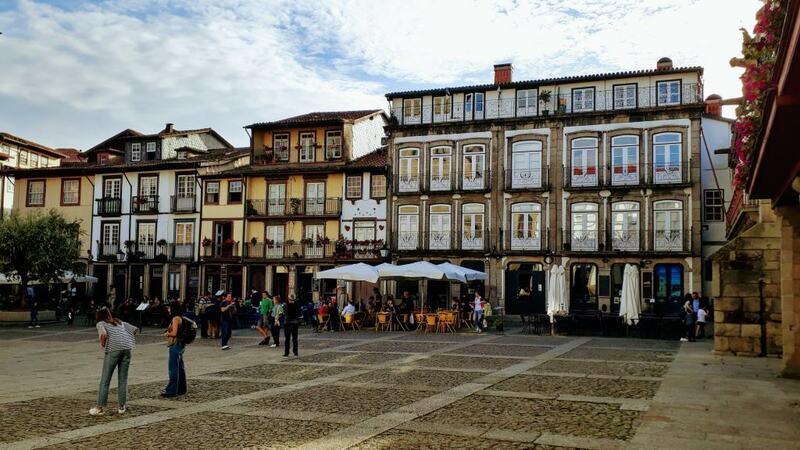 With the Largo do Toural there is another worth seeing square southwest of the old town. 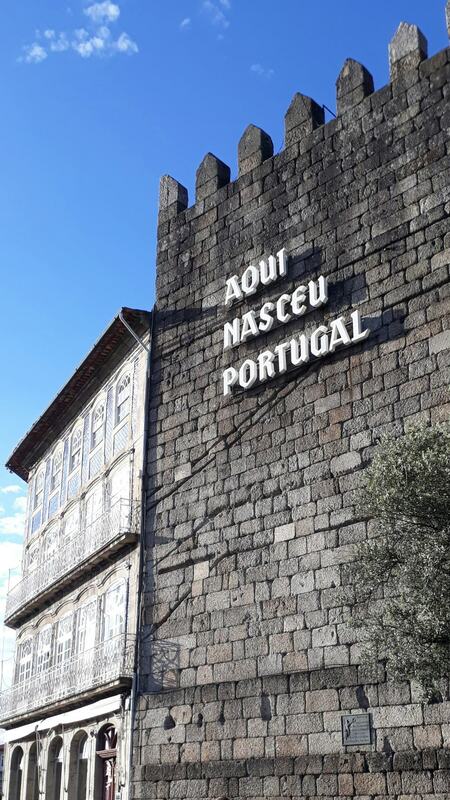 At the Jardim Público da Alameda, which connects the two squares, between the beautiful old buildings is also a tower of the ancient city wall seen with the inscription Aqui Nasceu Portugal (“Portugal was born here”). 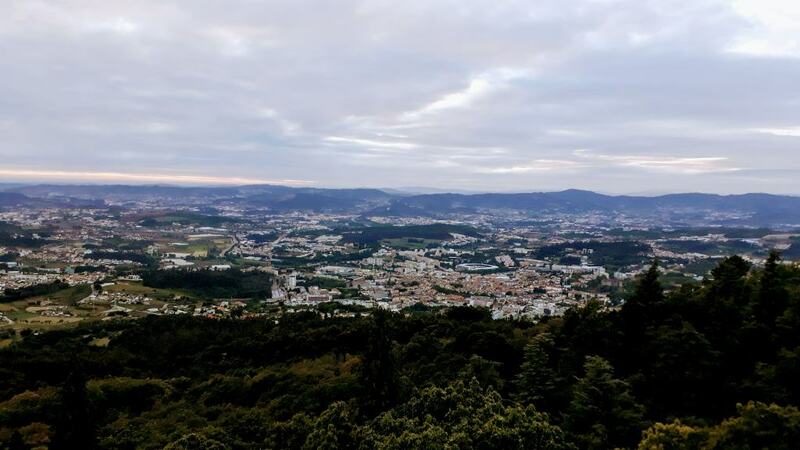 The Serra da Penha mountain, also known as the Monte de Santa Catarina, is only at a few kilometers as the crow flies, thus serving as Hausberg of Guimarães. It can be reached by road or cable car. 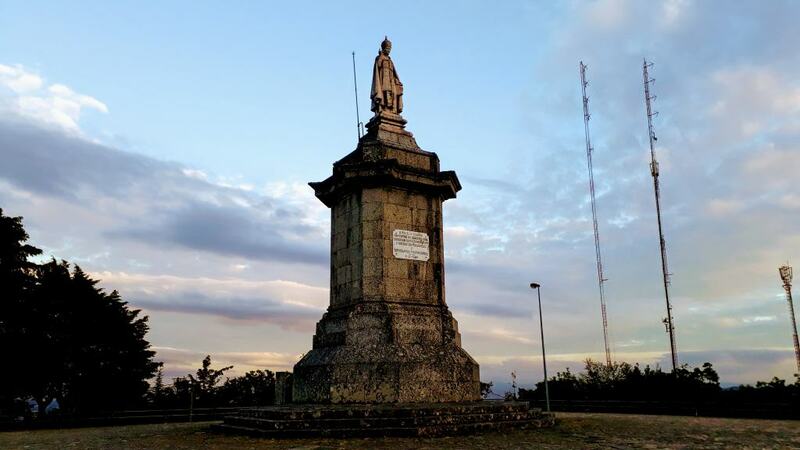 On the peak plateau is placed the Santuário da Senhora da Penha, a pilgrimage site, planned in the 1930s by the renowned Portuguese architect José Marques da Silva and opened in 1947, three months after his death. 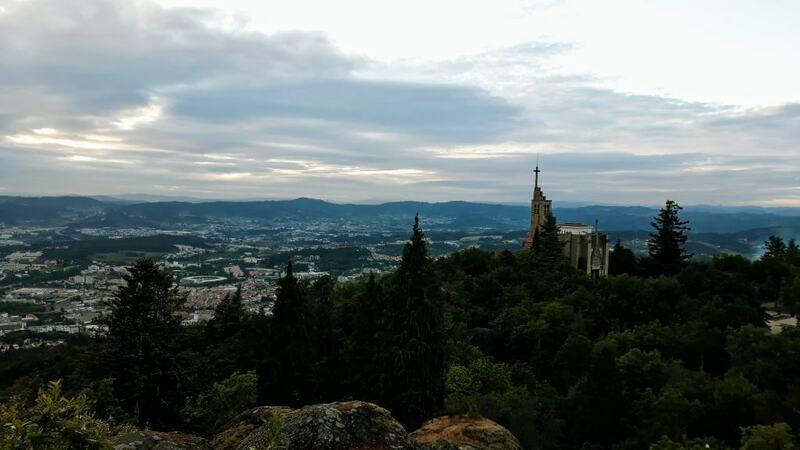 In addition, the mountain offers breathtaking views over the old town, the palace and the castle. 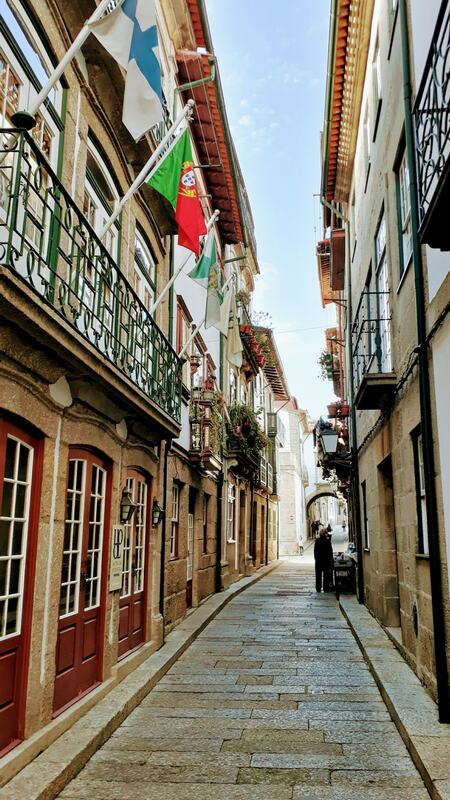 Before we visited Guimarães, we had heard a lot about the award-winning old town. This gave us very high expectations, which were only partly fulfilled. 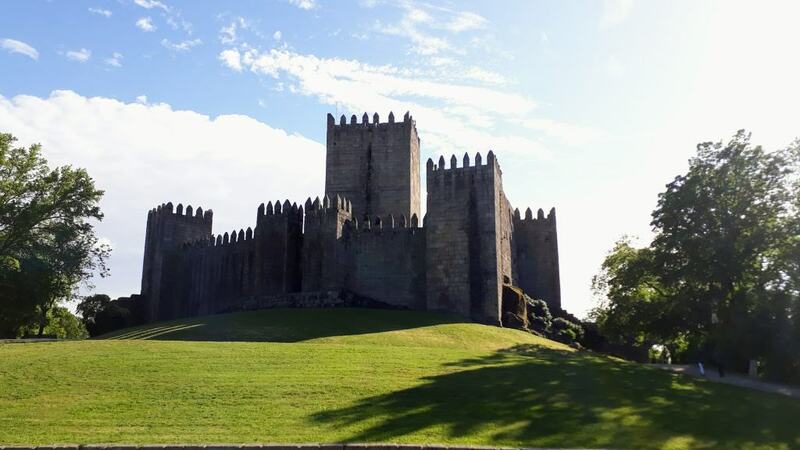 By contrast, the Romanesque fortress Castelo de Guimarães, which seems to be like out of a Playmobil catalog, has surprised us. 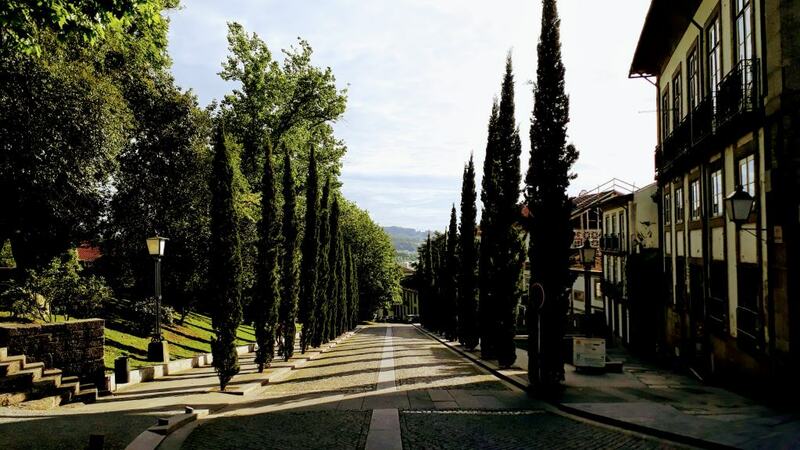 We can also highly recommend a visit of the Hausberg Serra da Penha or Monte de Santa Catarina (or whatever you call it). On a clear day, a beautiful sunset can be observed here. 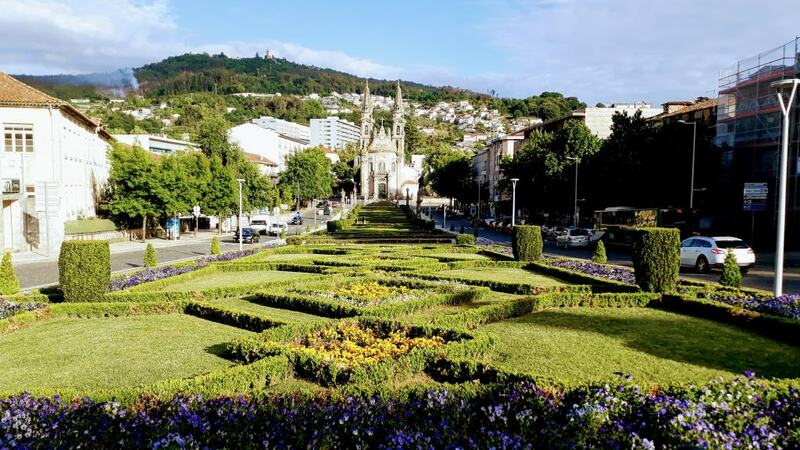 However, if it is cloudy – as it was with us – the city is immersed in a mystical ambience, which fits well with the Santuário da Senhora da Penha. 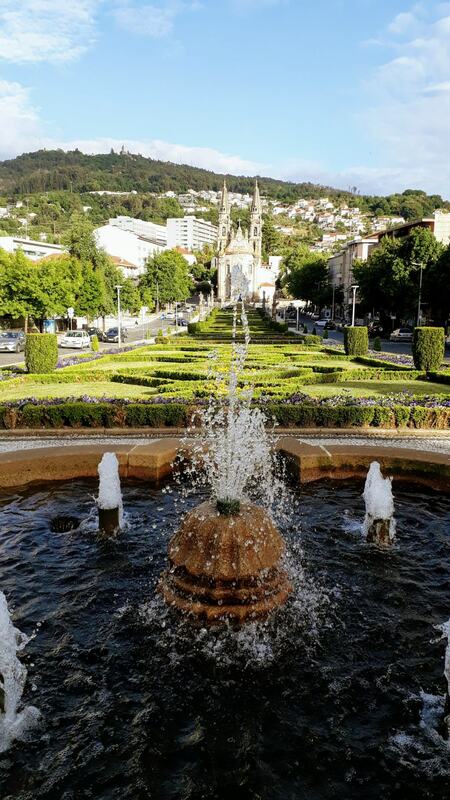 Previous PostPrevious Braga: The Most Beautiful Stairway in Portugal?